Hello everyone, I hope you’re having a good week so far! 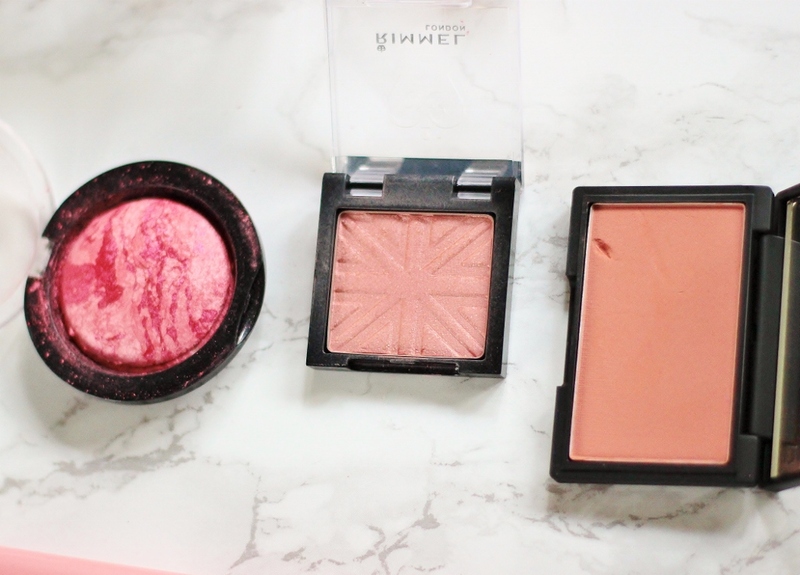 Todays top three is regarding my favourite drugstore blushers, the ones I reach for the most and the ones I recommend you check out. 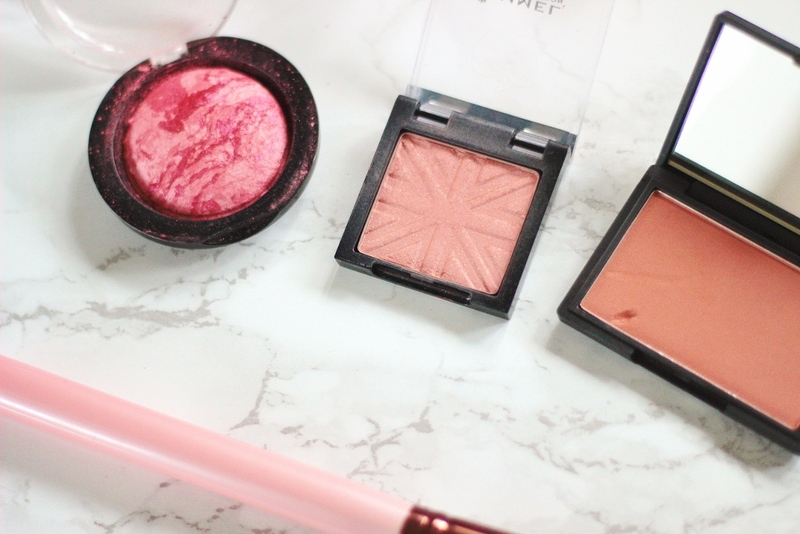 Now it is no secret that I am a HUGE fan of NARS blushers and I do wear them probably 70% of the time that I wear makeup, because that have the best longevity and I love all the shades I own! However I am quite the blush-a-holic and own two Muji drawers stuffed to the brim of single blushers, plus a couple of palettes too, so I try and rotate as much as I can. I know that not everyone can afford NARS (although they’re worth saving up for and picking up with ASOS have 20% off! 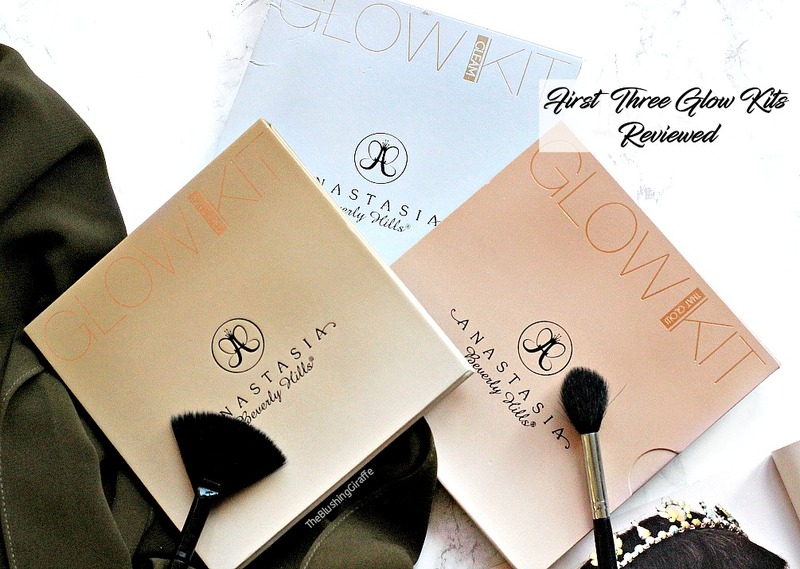 ), so I thought it would be helpful to put together a post of my favourites from the highstreet. 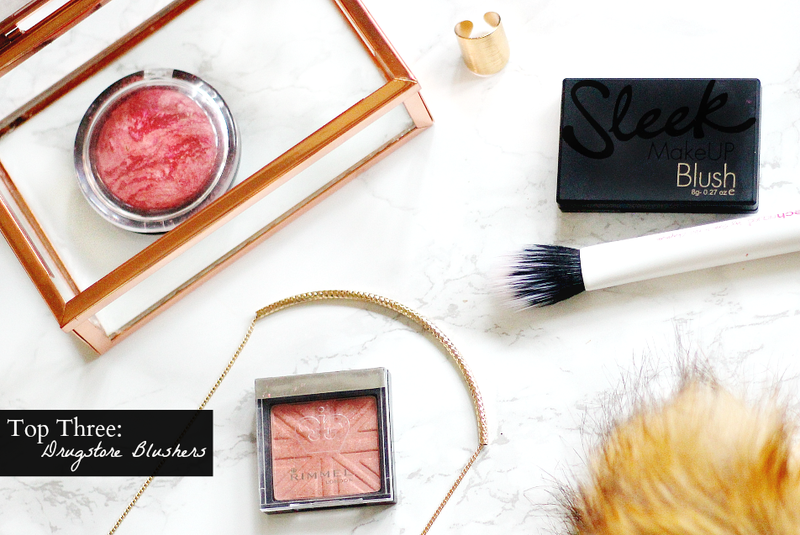 This post should hopefully be useful to those of you who aren’t really blush fans and don’t want to spend more than a fiver on a blush you may not wear that often! Don’t worry ladies, I have just what you need! This is the newest from the trio in my stash and I should add that I recommend most baked blushers, because they are some of the best formula out there! Loved Me The Best is a beautiful deep pink shade with a hint of berry, which probably explains why I have been reaching for it more in the past few weeks than before. The marble baked finish, not only looks pretty, but adds a swirl of a deeper pink and a light pink together. When I dip my brush in, the colour merge together and on the cheeks it looks ever so flattering. The kind of pink my cheeks turn when I’ve been for a brisk walk in the winter time - which obviously happens a lot(!). This shade doesn’t look delightful when swatched, but on the cheeks I cannot get enough! Decently pigmented and buildable too. Sadly it does have a few minor faults. Firstly the lasting time on my cheeks is about 4.5 hours. After this time it fades considerably and there’s about 30% left. So I tend to sweep this on before a 4 hour shift, or a short trip out because I hate the rest of my base being in place and my blusher fading. The second thing some people may not like, is that this has a sheen to it, the kind of sheen that means I advise you skip out on a lot of highlighting. Personally I don’t mind this, it’s a 2-in-1 kind of effect and great for when you’re in a rush because it adds life, colour and dimension all at the same time. However if you’re only a fan of matte blushers then swatch this in store first.Finally this blush is DELICATE! Despite what the tough looking packaging would have you believe, it breaks easily. All the little cons aside though, it has still landed a spot in my top 3, so again well worth checking out! This is the oldest blusher in my makeup collection, and that particular one in the photo is my second pan which says a lot. I rarely hit pan on makeup because I rotate so often, but when I finished my original Pink Rose I couldn't let it leave my collection for longer than a month. I have said many times that my favourite NARS blush is DT, now I’m not saying that pink rose is a dupe, however they are very similar. They both are on the lighter, more neutral side which means, firstly it is hard to over apply and a lot of blending out is not necessary (which cannot be said for a lot of Sleek blushers). Secondly they both go with pretty much any makeup look you wear, whether its barely there makeup, or full on smoky eyes. Pink Rose is a medium pink shade with a very subtle sheen, no chunky glitter bits at all, rather the type of sheen that translates as a glow on the cheeks. I love the fact that it’s not matte, because it adds a subtle radiance to the skin and also looks pretty natural. The biggest difference between this shade and NARS D.T is that this shade doesn’t have any peach tone to it. Also if you layer and layer this up, it will translate as a deeper pink, but with one sweep you can achieve a similar look. The quality of the powder in the soft colour blushers are comparable to high end, they’re very soft without being powdery and they blend beautifully onto the cheeks. I am confident that this is THE blush for those who fear clown cheeks, this is the one they’ll be able to use without breaking into a sweat. Also the lasting powder of this blush is comparable to NARS, it lasts almost the whole day on me and I really couldn’t ask for much more! I love it so much that I’m including one in an upcoming giveaway, so one of you can be just as pleasantly surprised as I was! 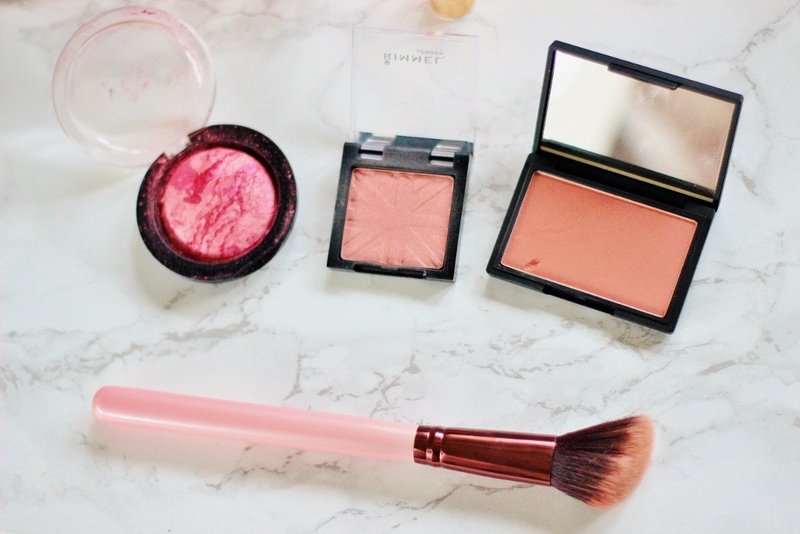 What are some of your favourite drugstore blushers?